When Democratic presidential nominee Hillary Clinton opens a campaign office in Tucson Saturday, some of the Hernandez siblings will be there – just as one or the other of them has been on hand, pretty much since Clinton first ran for president eight years ago. The three siblings, all of whom were delegates at the history-making Democratic National Convention where Clinton became the first woman nominee, have been involved in politics for much of their young lives. And it all started with a slice of pizza. “My brother started bribing me with pizza so as poor college student I jumped on any opportunity for that, so I started volunteering on different campaigns,” said Consuelo Hernandez of the inducement that older brother Daniel used to get her and sister Alma to help him with campaigning. Daniel would take his siblings to knock on doors in get-out-the-vote efforts and to get people to help with Democratic fundraising. It may have been the pizza the brought them in, but soon all three siblings were actively campaigning. One of Daniel’s first forays into politics was working as intern eight years ago for Clinton, who was a senator from New York at the time, fighting then-Illinois Sen. Barack Obama for the Democratic presidential nomination. “My first campaign was actually working for Secretary Clinton back when she was Sen. Clinton, back in 2007,” Daniel said during a break at last week’s Democratic National Convention. Daniel later worked for Rep. Gabrielle Giffords, D-Tucson, and was on hand in January 2011 when a gunman opened fire at a public event with Giffords, killing six people and wounding 13, including the congresswoman who was severely injured. 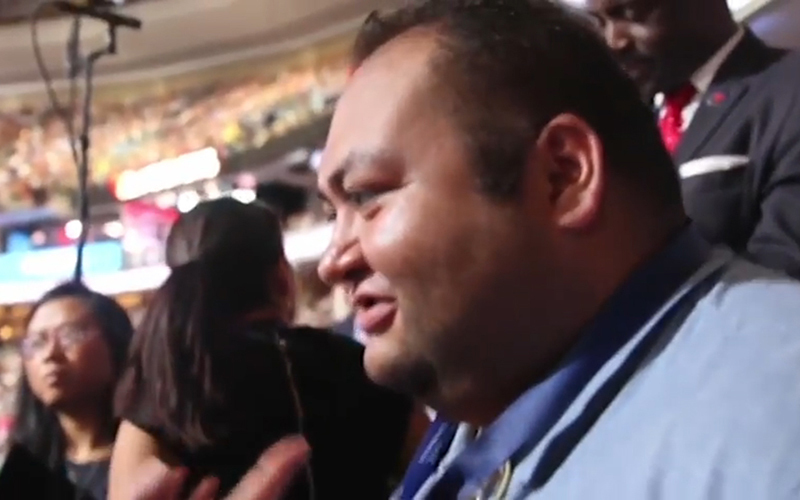 Daniel, one of the onlookers credited with helping to save Giffords’ life, got the chance to meet his first political idol, Clinton, several days later. Clinton by then was secretary of state in the Obama administration. When the Clinton campaign reached out to the three siblings about the possibility of being delegates to this year’s convention, they didn’t hesitate. Party officials did not know if the Hernandezes were the first three siblings to serve as delegates to a convention, but that didn’t matter to the siblings. They said they were just excited to see a woman win the party’s presidential nomination. 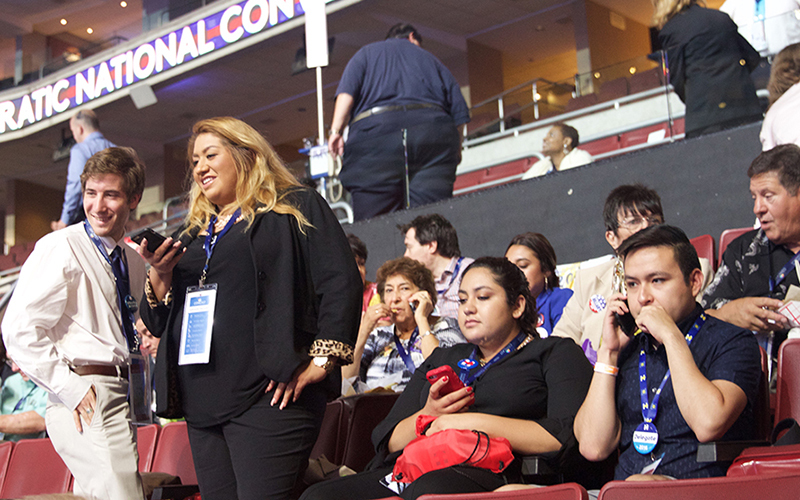 “I feel like she’s the most qualified candidate and can get things done on the first day of the job,” Consuelo said at the convention. After the DNC, Consuelo headed to New York where she is studying for the LSAT. Alma is a campaign manager for Joel Feinman’s bid for Pima County attorney and Daniel serves as a school board member in the Sunnyside Unified School District. But come this weekend, Daniel and Alma, at least, will be back where they started, knocking on doors and trying to drum up support for Clinton. Daniel said Consuelo will do what she can to help whenever she gets back to Tucson. Daniel said the conventions energized him for the fight ahead. “I think I was very excited to see the differences between the DNC and the RNC. The DNC I think is the more realistic view of America,” he said.